Tulips for autumn and winter. 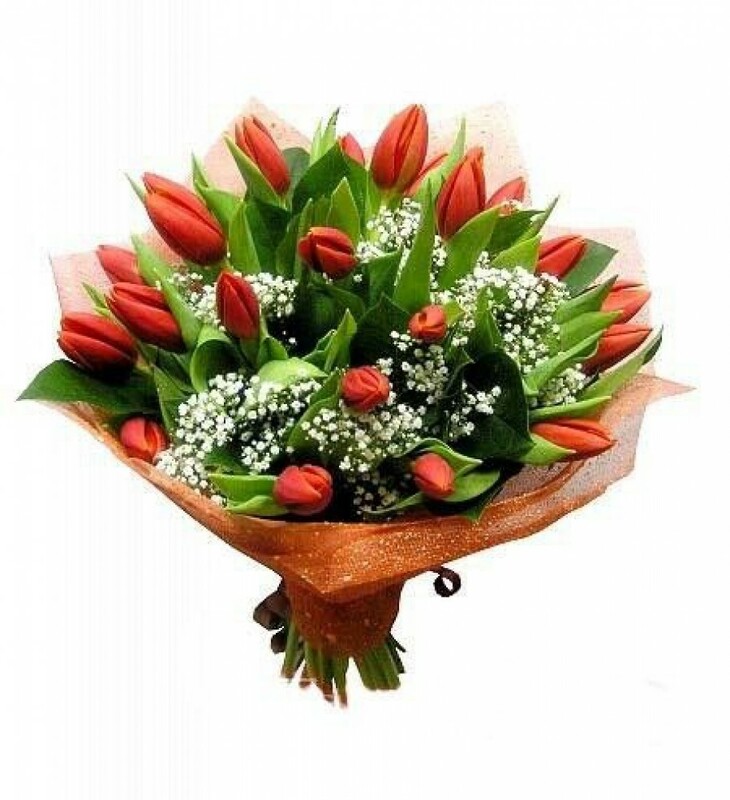 Red colours in bunch with 20 pieces . Gypsofylla copmlete it perfect.